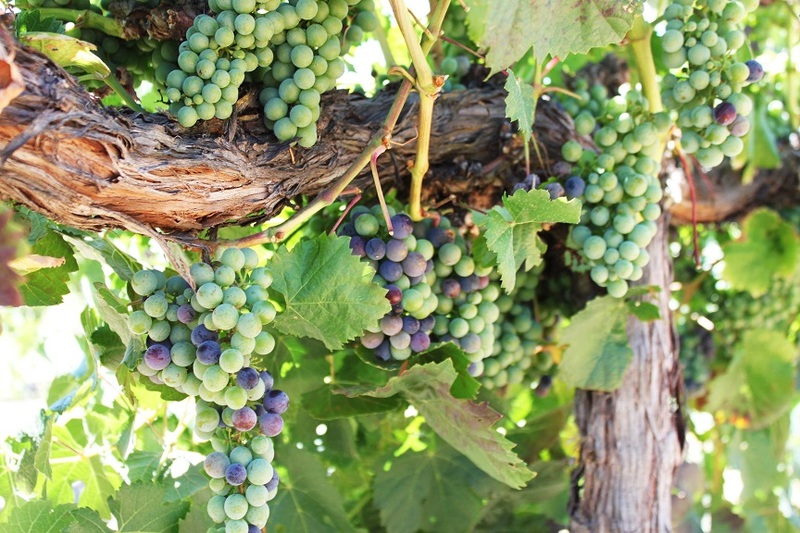 Will harvest come early this year for Paso Robles Cabernet Sauvignon and Bordeaux varietals? All indicators point to yes, but by varying degrees. One such indicator is veraison, the moment the grapes begin to ripen. For white varietals, the hard green berries begin to turn golden, the flesh softens, sugar levels increase and acid drops. For the red varietals, a similar process happens and the green berries turn to purple. For the average person, and certainly for photographers, viewing veraison is exciting. The individual berries in a cluster change at varying rates — the mix of color in a cluster and across a vine is like a piece of art. 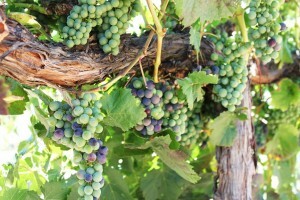 In the vineyard, veraison visually signals development en route to harvest and the completion of another growth cycle. For the winery, veraison is a heart-quickening indicator that the arrival of a new crop and the start of another round of wine to craft is just around the corner. 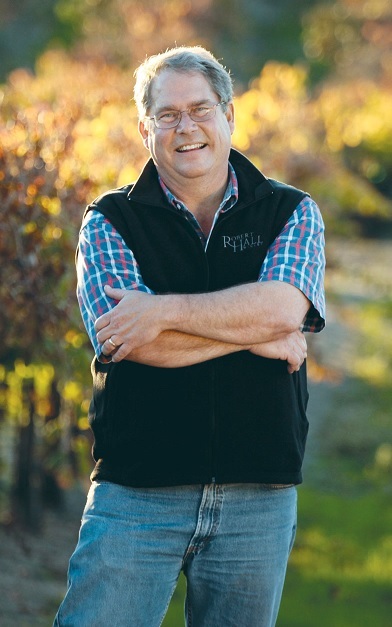 In 2013, Robert Hall Winery harvested the first grapes in the Paso Robles AVA on August 15th when their Sauvignon Blanc came in a week earlier that in past years. All indicators point to an even earlier harvest this year. Brady also indicated that he is anticipating a very good vintage. The fruit set well and clusters size is down. For high-quality red wine, a small berry is a good thing and with grapes ripening early they can be harvested long before any threatening weather arrives. On the flip side it does mean winemaking teams are now scrambling to complete bottling, make room in the cellar and finish all of the pre-harvest activities. 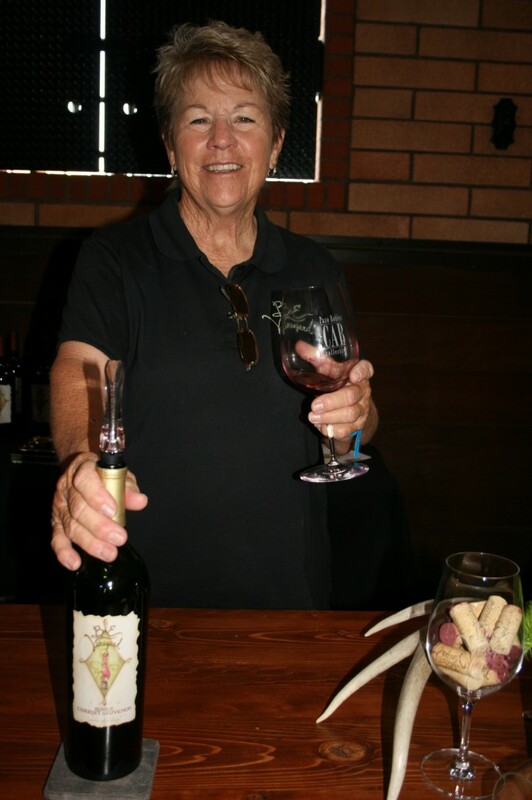 Like so many families looking for the good life in the early 1980s, the Beckett family – owners of CAB Collective member PEACHY CANYON Winery – moved to Paso Robles. 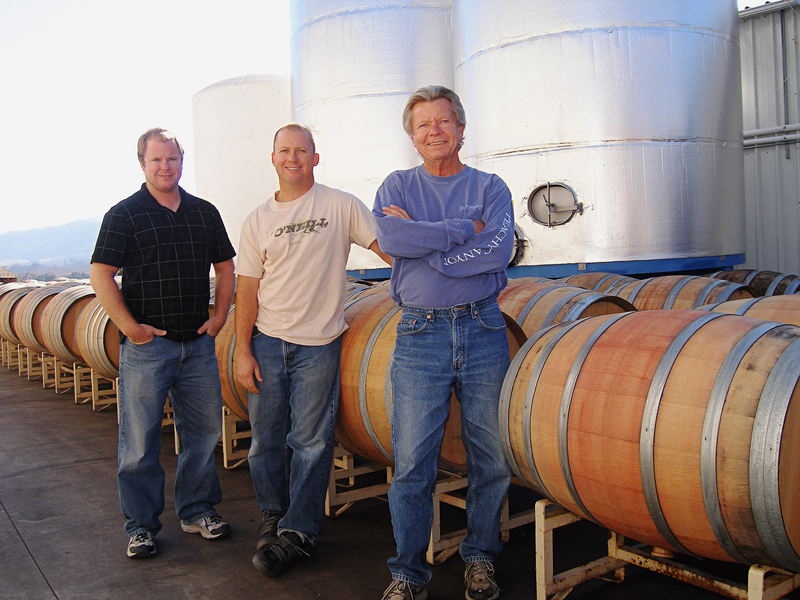 Since producing their first barrel in 1988, their focus has been Zinfandel, but PEACHY CANYON also produces several Bordeaux-varietal wines to both popular and critical acclaim. When Josh Beckett stepped down as winemaker to enter more of a consulting role at PEACHY CANYON, he hired the experienced Terry Culton, whom wine critic Robert Parker called a “top-flight winemaker” and whose CV includes work at nearby Adelaida Cellars, as well as Calera Wine Co., Willamette Valley Vineyards, Edmeades and Wildhorse. Today, Terry is taking PEACHY CANYON into a new season of accolades, particularly with the winery’s Bordeaux offerings. The 2011 Malbec, for example, has won numerous awards including the Double Gold at the 2014 San Francisco Chronicle Wine Competition. While most PEACHY CANYON wines are aged in French, Hungarian or American oak barrels, the winery also has a history of fermenting and aging some wines in concrete, as inspired by European winemaking. For example, the Para Siempre Bordeaux blend is aged in concrete, which lends a distinct minerality to the wine, accentuating the aromas of blackcurrant, baking spices and vanilla while also influencing the luscious mouthfeel. PEACHY CANYON is SIP-certified (Sustainability in Practice), and many operations are performed by hand (e.g. punch-downs and gentle basket pressing) with the goal of supporting complexity and elegance in the wines. PEACHY CANYON is located on Paso Robles’ West Side, and produces wines from their 100 acres of estate vineyards, in addition to a handful of venerated local growers. Tastings are available at the winery seven days a week from 10 AM to 5 PM at 1480 N. Bethel Road in Templeton, California. For more information on tasting their wines, including Bordeaux offerings like the 2011 Devine Cab, 2011 Old School House Cabernet, and Para Siempre, visit www.PeachyCanyon.com.